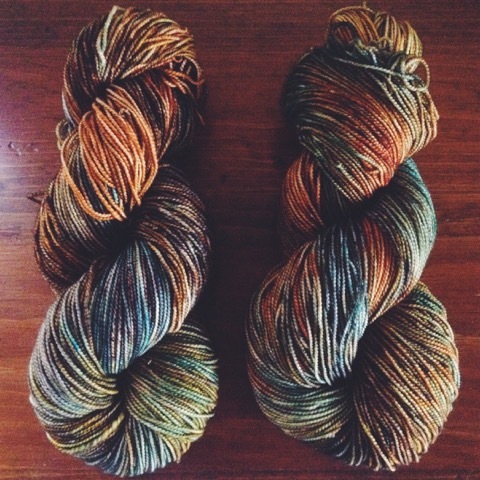 Hand dyed artisan yarns and fiber. Deep down I’ve been an “indie” artist for as far back as I can remember, mainly with illustration and watercolors. The transition to fiber happened about four years ago. It all stared with wanting to learn to knit a pair of fingerless gloves. Then I stumbled upon a spinning class and learned to use a drop spindle. Next came Kool-aid dying, a spinning wheel, acid dyes, carding, and weaving…it’s a slippery slope! From start to finish I love every part of the process. A little piece of me goes into every step from business cards and dye applications, to packaging and photographs. Being a part of the craftsmanship allows my personal style to shine through. Each piece is a miniature work of art. While items may look similar they are truly one of a kind. 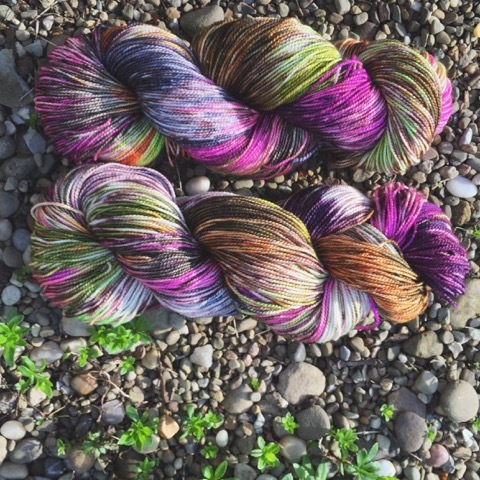 If I had to pick a favorite it would have to be the dye itself. For me it’s like watercoloring on wool. 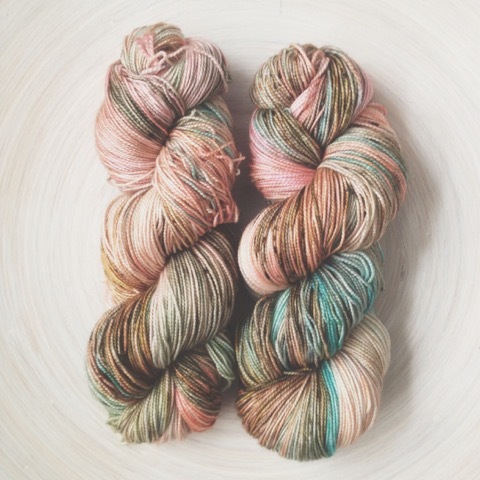 I’ve fallen pretty hard for all natural dyes. It is so rewarding to see natures true colors come through. I want to offer products that inspire others to be creative while staying true to my own aesthetic. 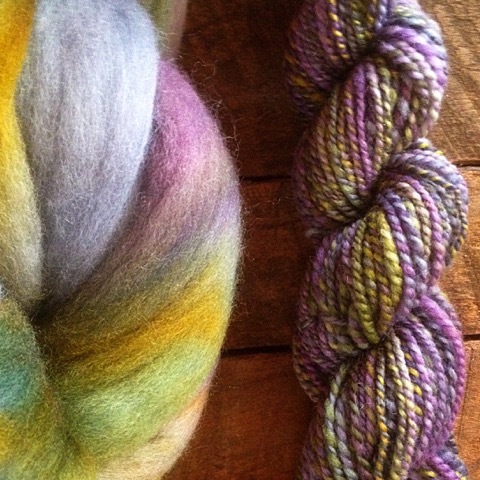 Being an indie fiber artist keeps centers me. 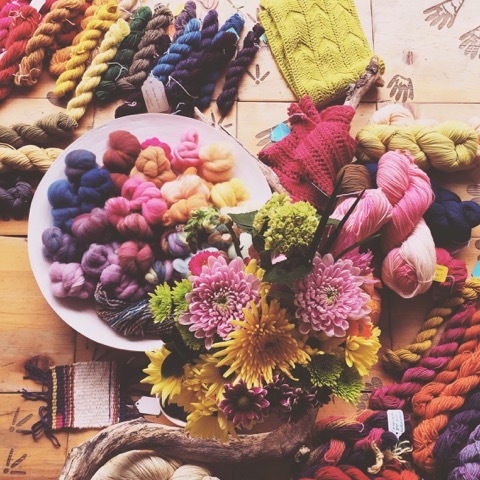 Teaching natural dyeing and weaving workshops this year has been a wonderful addition. It is so much fun to share what I’ve learned and ignite that spark in others. Creativity keeps me grounded and fiber is the perfect outlet!